A jet-setting journalist who began his career as an island daily’s agricultural correspondent has died aged 66. Tributes have been paid to Paul Iredale, left, who started out with with the Jersey Evening Post, on the island where he was born, before joining news agency Reuters. After spending time with the Reuters London bureau, he moved to Johannesburg where he covered the rise of the anti-aprtheid movement in South Africa, as well as the fall of Ugandan dictator Idi Amin. Paul later served on the Reeuters Latin America desk in Buenos Aires and as bureau chief for Peru, Bolivia and Ecuador in Lima. In Mexico City he served as bureau chief for Central America and the Caribbean. Paul was also a a former FoC at the National Union of Journalists’ Reuters chapel and served for many years as a member of the union’s national executive council. Tim Dawson, NUJ president, said: “Paul brought to his NUJ activism a long and distinguished career as a journalist. He was not always in step with the union’s leadership, but he doggedly represented his members and fought for his vision of what the NUJ was about. 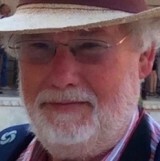 Séamus Dooley, acting general secretary, adde: “Paul made a distinctive contribution to the NUJ. He was never afraid to speak his mind and that often lead to strong disagreements, but no one could doubt his sincerity or belief in the union.